Nils Vesk the quintessential ‘go to’ man for creating money making ideas and energising people to turn those ideas into a reality. His philosophy is simple: ideas are useless unless we give them legs. His expertise is as diverse as it is dynamic – from designer to presenter, from facilitator to consultant – this is a man who is a must-have addition to your business. 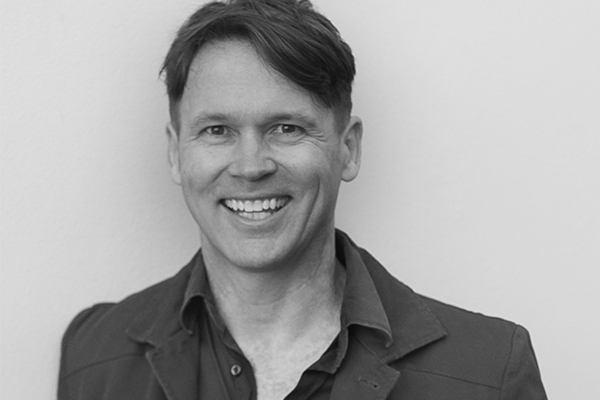 Nils delivers keynote presentations and runs creative training workshops for some of Australia’s leading companies. The Shaker chats with Nils before his first ever Canberra Workshop at the University of Canberra on 8, February to find out what he has in store. You graduated from the University of Canberra with a Bachelor of Landscape Architecture but now you’re labelled the innovation architect. How did you become an innovation expert? I started running workshops on innovation close to 20 years ago, and with each workshop I ran I maintained a focus on seeing the clients come out with a clear outcome, be that a plan to build their new ideas or to take to market. Clients started to say, you’re like an Architect for ideas and innovation. In many ways I was using much of the ‘design thinking’ I had learnt at university and applying it to business. Why do you think organisations find it hard be innovative? Is it a matter of culture, opportunity or lack of knowledge? This is your first Canberra half-day workshop with the University of Canberra, what themes will you be covering? We will be teaching people how to think like a futurist. This is a future thinking workshop designed to help people future proof their career by being aware of the key critical emerging trends that cover socio cultural trends, Technological & scientific trends, Economic and Environmental trends and finally political trends. As we reveal the critical trends we will be getting our aspiring futurists to create their own specific trends chart that is tailored to them and their career. Finally we will top it off with some strategic planning to help them consider how they can best take advantage of the situation. Why do you think discussing ideas about the future is so important for younger generations? Discussing the future and being future minded is crucial for not only younger generations but also for younger ones because preparing for change is much easier than reacting to change. Too often, people are left behind in their career and business and sometimes unfortunately life, because they failed to look for change. What do you hope people will walk away with from your event? My intention is that our workshop futurists walk away with a trends chart that will help to future proof their career and give them a head start in the decisions they make in their work life. Plus I want them to realise how relatively easy it can be to get a grasp on the future. I hear you’re a Yogi at heart. Is that true? Great detective work. Yes I’ve been teaching yoga now for almost 20 years, though I struggle to find the time to keep a consistent class running because of my travel so now a days I do fill ins when time permits. Do you think your Yogi mentality has helped you combine mind and body vitality with innovative design? Mindfulness (a core part of yoga), is a massive advantage in my world for a number of reasons. This ranges from proven benefits such as increased memory, ability to handle stressful situations, higher levels of immunity, not to mention all the physical benefits. I definitely find my creativity levels are lowest if I’ve skipped my meditation. What’s the hardest thing about changing people’s thought process about innovation and being innovative? The hardest part with change is finding a compelling narrative or story for them to want to innovate. Teaching and learning the techniques is relatively simple, there’s formulas and techniques just like learning mathematics or physics. Part of this story, involves showing people that they can apply it to their everyday work and that they don’t have to be a PHD at an R&D lab. You have an extensive body of work and are involved in a number of projects and workshops. Tell me about a project or accomplishment that you consider to be the most significant in your career? A most recent accomplishment was working with a major R&D organisation in the USA where we managed to double the number of commercial patents that they were producing each year. That was special because it encompassed a lot of work ranging from anthropological studies, insight training, ideation, iteration work and commercialisation skills. How did ideas with legs come to be? Originally it was a book to summarise my workshops and approach to realising ideas, and then it became the name of my innovation agency. I love the metaphor, because of the idea has no legs it’s not going anywhere, and even if it has legs, it still has to go on a journey to see a result. I have a lot of intellectual crushes that change according to what challenges my business or life might be going through. Right now, it’s Dr. BJ Fogg – he runs a habit science lab at Stanford University. I discovered a few years ago, but I’ve found that at the start of the year I like to refresh my habits. I’m a hanglider pilot and have represented Australia at the world championships.